Pilgrims are traveling to the Holy Land in record-breaking numbers. Sites like the Holy Sepulcher and Church of the Nativity are obvious pilgrimage destinations. But those popular churches are often crowded. You may have to get up before the crack of dawn just to be able to spend time in prayer at the sites without being jostled out to make room for the long lines of pilgrims. However, there’s one incredible site in the Holy Land that’s totally forgotten about and abandoned by Christian pilgrims. If you’re in Israel, you need to make a special trip to the tomb of Saint John the Baptist. No lines go out the door to honor the burial place of John, and you don’t have to fight your way through the crowds to spend a quiet few minutes in prayer. Just a short thirty-five mile drive from Jerusalem, the tomb of the forerunner of Jesus is found in the Palestine village of Sebastia. The city was founded in 25 BC by King Herod the Great on the site of ancient Samaria. Fifth century Christians constructed a temple over the tomb of John the Baptist, and later the Crusaders reconstructed the holy site in the twelfth century. But in 1187, following an Islamic conquest, the church was transformed into a mosque and dedicated to the prophet Yahya, the Muslim name for John the Baptist. Today, Muslims still pray in the mosque in Sebastia. Today, you can still visit the tomb of John the Baptist. 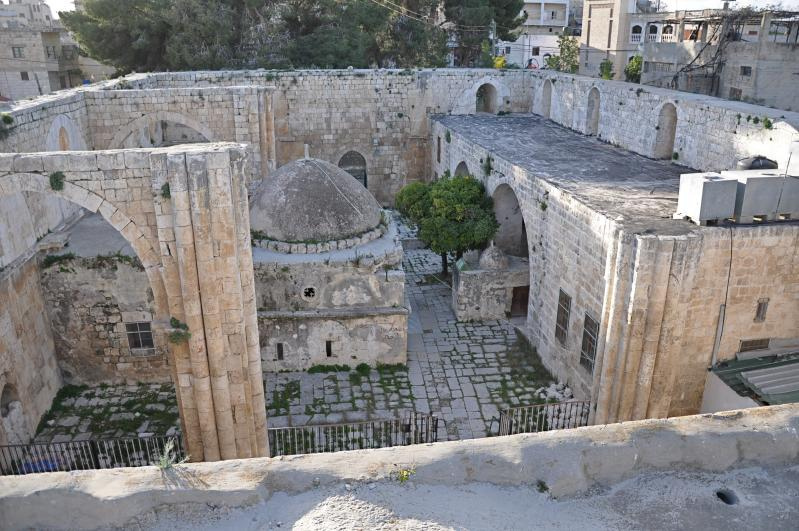 The site is found below a small dome in the middle of the cathedral ruins and beside the mosque. 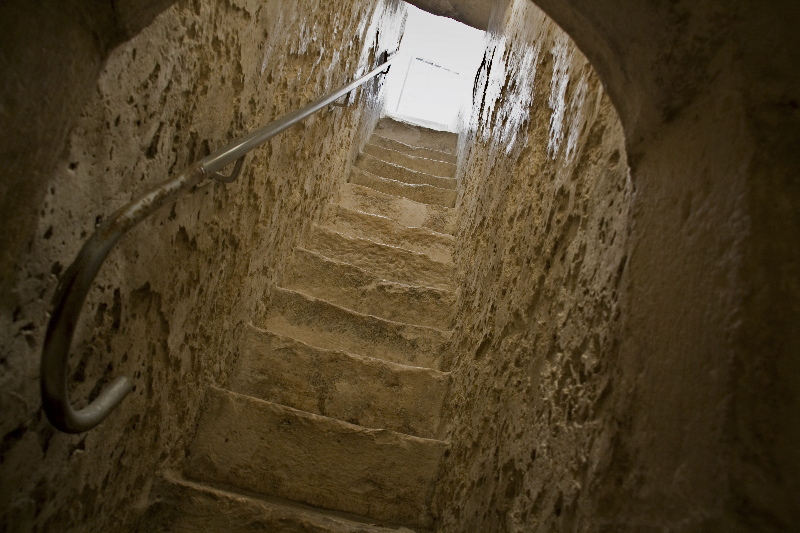 A narrow stairway of twenty-one steps leads into a burial chamber. No markings alert pilgrims of the significance of the site. However, the Muslims who worship at the mosque are eager to share the beauty of the site with anyone who stops by. 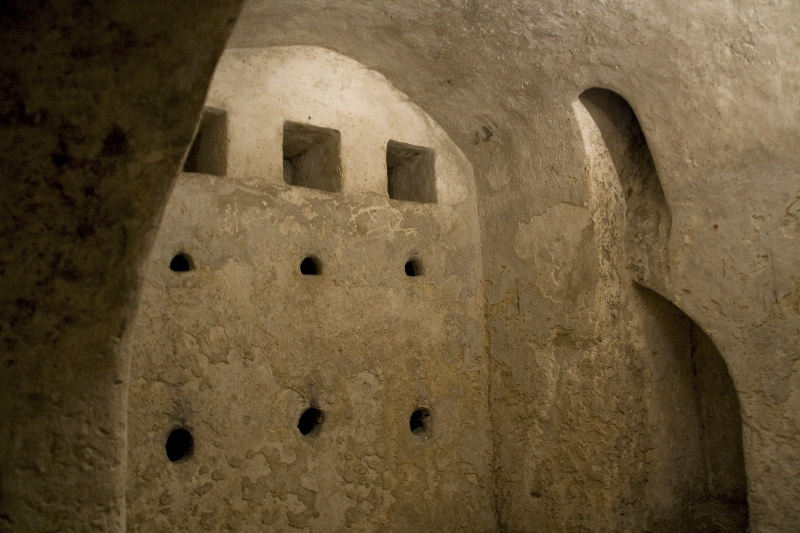 In the burial chamber, pilgrims find six burial places. Tradition places John’s burial place in the lower row, between Elisha and Obadiah. Records from the middle of the 4th century tell of John’s relics being honored in Sebastia. However, when John’s bones were partly burned when the shrine was desecrated in 362, monks moved the relics to Alexandria. Even though John’s relics weren’t there anymore, the tomb at Sebastia continued to be visited by pilgrims. Saint Jerome wrote that Sebastia was “where the remains of John the Baptist are guarded.” Jerome also wrote about the miracles that occurred at the site. Today, Sebastia is now entirely Muslim with the exception of one Christian family. John is especially honored by Eastern Christians. They honor his memory every Tuesday in their liturgy and on six separate feast days throughout the year.